Known for his technical expertise with the bat, Lahiru Thirimanne was born on 8th September 1989 and is a professional Sri Lankan cricketer hailing from Moratuwa. A solid left-handed batsman, Thirimanne was also used as an occasional right-arm medium-fast bowler. He is renowned for his finishing skills and is a former ODI captain. 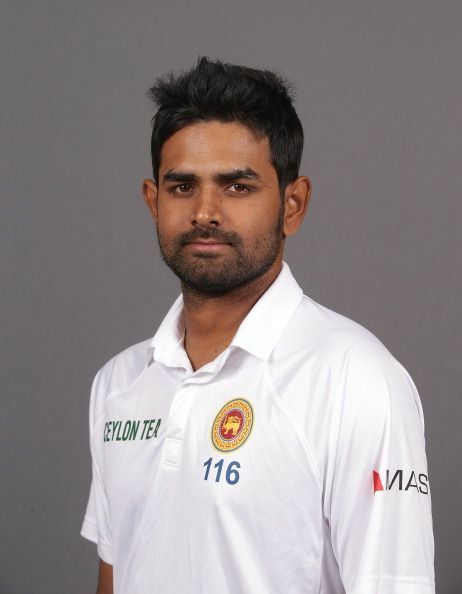 Thirimanne started his cricketing career in his school days and played Under-11 cricket. He later played in the Under 13,15,17 and 19 team as well. He is representing Ragama Cricket club since 2008 and has scored about 4000 runs in 159 matches he played. In 2009-10, due to his performance in first class cricket, he earned a place in the Sri Lanka ODI squad for the tri-series against India. Thirimanne made his Test debut in 2011 after Tillakaratne Dilshan was ruled out and he displayed considerable composure to save the test match. A year later, he played his first T20 international game against Pakistan and managed to score 30 runs. Carrying forth his rich form, Thirimanne impressed everyone with his effort and was known as 'player for the future' by his coach. A cultured middle-order batsman, Thirimanne rose to prominence with his performance in first class cricket for Ragama where he scored 709 runs in eight games he played in 2010 season. That showing helped him earn an ODI cap and eventually became the mainstay of Sri Lanka’s batting line-up. Thirimanne topped the Asia Cup 2014 season batting charts with 279 runs at an enviable average of 55.80 in five games. Thirimanne captained the Sri Lanka cricket team for 2014 Asian Games where Sri Lanka won the gold medal by defeating Afghanistan in the final. He captained Sri Lanka against New Zealand, due to slight injury of captain Angelo Mathews. However, his first match as a captain did not underway well, as they lost the match by 108 runs. Along with Sangakkara, Thirimanne joined 212 runs which remains the highest 2nd wicket partnership for Sri Lanka in ODI cricket. Should 'Mankading' be allowed in the sport of cricket? In the midst of a transition period, is Sri Lankan cricket dying a slow death?